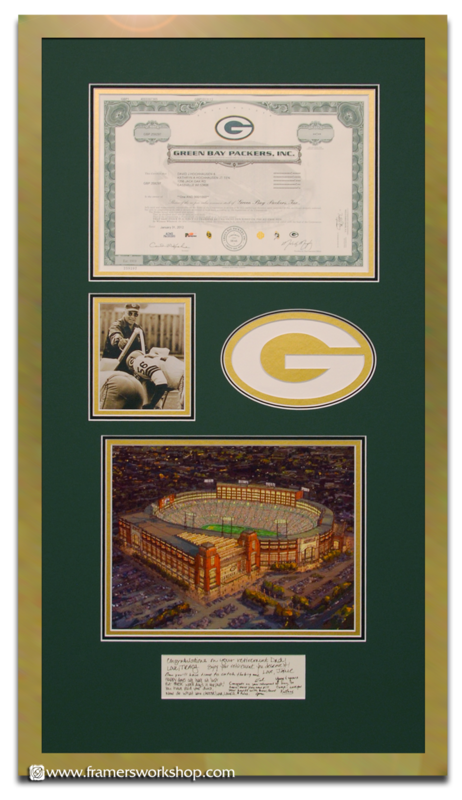 We framed this Green Bay Packers Share and memorabilia for a customer in Wisconsin. After several e-mails and phone calls, we came up with a perfect design, including a mat-cut logo, photo, and a highlighted personal note. The project was ordered as a surprise birthday present and the collaborative design was approached with great care.